This weekend I wasn't sure if I should write a post about the final Guild Wars 2 weekend or not. To be honest, I haven't been really into a writing mood lately. Plus I figured there would be plenty of good coverage about it all around the internet anyway. But then again I already wrote about the other two beta weekends so I might as well do it for this one just for completeness sake. So, the most notable additions to this beta weekend were the asura and sylvari as playable races as well as their respective starting areas. There was a good reason for that as ArenaNet explained in this preview for Massively. A large part of the the reason for them only appearing now is because they wanted to get a lot of people in concentrated areas of the world to simulate a launch. Makes sense since if they were added from the beginning people might have spread way too much for them to have a good sense of how many servers they will need for launch. And comparing all the beta weekends, I think it worked out well as everything felt just right. Anyhoo, let's take a look at those two races, shall we? This weekend I wasn't sure if I should write a post about the final Guild Wars 2 weekend or not. To be honest, I haven't been really into a writing mood lately. Plus I figured there would be plenty of good coverage about it all around the internet anyway. But then again I already wrote about the other two beta weekends so I might as well do it for this one just for completeness sake. So, the most notable additions to this beta weekend were the asura and sylvari as playable races as well as their respective starting areas. There was a good reason for that as ArenaNet explained in this preview for Massively. A large part of the the reason for them only appearing now is because they wanted to get a lot of people in concentrated areas of the world to simulate a launch. Makes sense since if they were added from the beginning people might have spread way too much for them to have a good sense of how many servers they will need for launch. And comparing all the beta weekends, I think it worked out well as everything felt just right. Anyhoo, let's take a look at those two races, shall we? Of the two races that became playable during this beta weekend, I think the asura were the ones I had the most anticipation for. On one hand I loved their concept of mad scientists where every individual thinks they are the greatest genius in history. On the other one I was a little concerned that this theme would be nothing but a setup for a whole race that exists to serve as a kind of in-game joke. Although there is a lot of humor to them, what with all their reckless experiments and big meaningless words, there is also a lot seriousness too in the right places. For instance, they were driven away from their original underground home to one of the Elder Dragons, a fact that they are all too painfully aware of and, as pointed out in their introduction video, it is something that they won't allow to happen again with their new home. Another concern of mine was with the animations. Due to their short stature and different looks, I was worried that the animations would veer on the side of comedy and ridiculousness. Again, my concerns couldn't be more wrong as ArenaNet did an excellent job with their animations. They feel very fluid, very natural in the way they move and just plain fun. Just running around the map with them is a joy in itself. Their architecture was something very interesting to see too. All I knew about it is that once they came to the surface they built their new home on some old magical ruins. My expectations were more of broken, old buildings where they just added their furniture. As it seems typical for asuras they went much farther than that. Their architecture do have a feel of ancient south american civilization, yes, but they also added all their own technological improvements to them, with glasses, machinery, laboratories and whatever else they need. Even better they integrated it so well that it all feels like the entire thing was built by the asura instead of just enhanced by them. Lastly, there was the Inquest, the evil faction of the asura. While the evil counterparts of the other races where those often felt so far gone to have very little similarity to the good guys, the Inquest still felt very asura-ish. With them it would be easy to see as just a faction of the asuras composed of jerks. In fact that is the feeling I got on how the more traditional asuras view the Inquest: a bunch of jerks. Dangerous jerks, yes, but still just jerks. 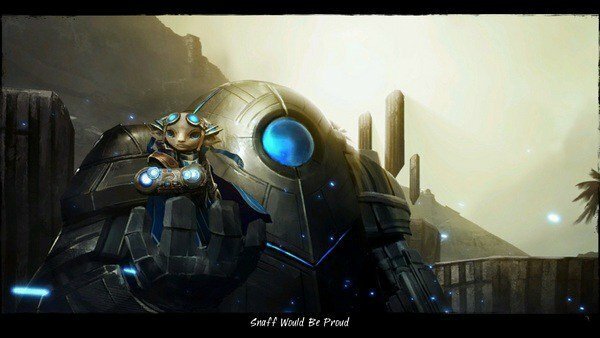 All in all, it is definitely one of the most fun races in Guild Wars 2. So much that I became really torn about which race my first character should be since I expect to spend most of the time playing him. Before testing the asura I was certain it would be a charr engineer and then make the others as I felt the need for variation. After playing with the asura I just wasn't so sure anymore. Eventually I decided to just make both at the same time and then keep switching as I play the game. While characters from the other races I will just make whenever I feel the need for even more variation. 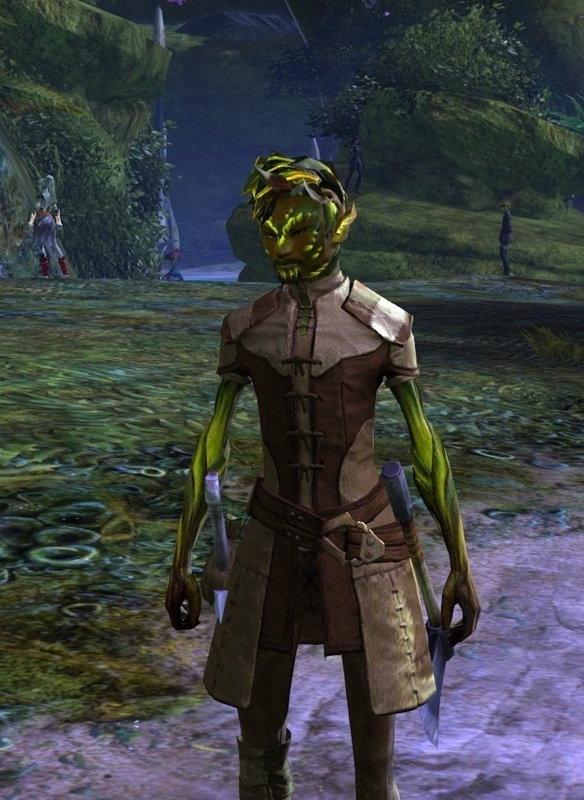 The sylvari was a race I already had a lot more knowledge about before getting to play them in the beta weekend. I just loved the idea of a very young race still making their own discoveries about the world. Tough what probably appealed to me the most was the whole idea of sentient plant life trying to mimic the appearance of humans, born fully grown with a certain knowledge of the world based on the collective experience of the rest of their races. Even their evil counterparts sounded fascinating with their misguided attempted to "free" their siblings and the Pale Tree, from which all sylvari are born, from what they consider an external imposition on how they should live. That external influence being the lives of a human and a centaur back when the Pale Tree was still a sapling. Their precepts were recorded into a tablet which set some very high standards of moral and ethics to the sylvari. Then we have the Nightmare Court, the evil faction of the sylvari. Of all the evil groups of the game I don't think any of them made me feel like punching one of its members in the face as much as they did. See, the Nightmare Court aren't simply destructive or violent as the other evil organizations. They are outright cruel. Just infiltrating one of their bases of operation gave a good glimpse of the extremes they will go to fulfill their goals. As you can see in my own blog, I absolutely love the design of those two cities. I didn't get to play that much as I did spend most time in the cities instead. But what I saw was great. I loved the animations of both races. 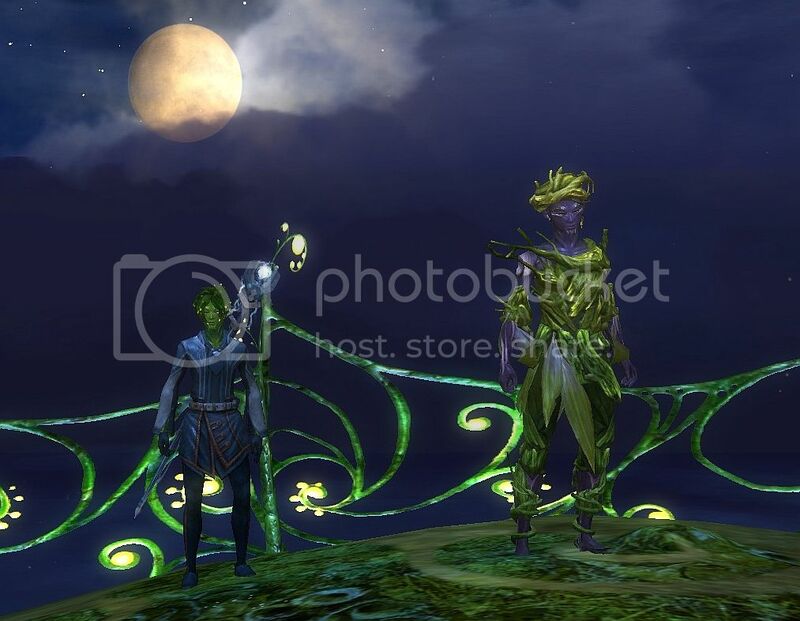 Only after reading through the GW2 forum a bit, I realised that the sylvari have that whole bioluminescence thing. Weird, huh? I hadn't noticed it until then. But that's such a great idea and once more gives the sylvari something very special! I had first wanted to play one sylvari (necromancer) but now I want two (probably the ranger who will that the fitting plant-dog). There is a lot to like about the design of the cities, indeed. They feel so perfect for each of them. And the Sylvari animation although was good I wasn't as impressed as the asura one. Simply because it felt less unique and more similar to the human ones, in my opinion at least. Anyway, yes, it was pretty cool. Although in the case of my sylvari I didn't notice much bioluminescence in-game. I am not sure if it was because I wasn't paying enough attention to my character (I was distracted by the scenery!) or if it was because most of it were on his body which was pretty much covered. While I loved most of the cities, I simply can't help but feel disappointed with Hoelbrak. Of course, their whole culture calls for a more... modest design. And the snowy regions don't help much either. But I still think they're lacking something. I was bored taking those screenshots and was really glad when I was finally finished. There are cool areas and it's not ugly or so, but... well, something's missing. You're right about the animations. They did feel a bit like humans. But I think they had a certain "swing" to it that the humans didn't have? And yes, it was probably in my blog. I remember reading the word before but silly me, I had thought he was talking about their eyes and that they had an option to choose glowing eyes or so! ^^ The bioluminescence only appears during the night, by the way. I did take screenshots (no surprise, I guess? ^^) and I think I also made a video. I'm all in all not a big fan of norn as they are in the game (I love their lore, though). Still, I will probably play a norn guardian. It was either a norn ranger, sylvari thief and human guardian - or a sylvari ranger... and well, a norn thief would be silly. So it will have to be a norn guardian and a human thief. 🙂 I want to experience each race's personal story! Hmmm... I think I had the same impression the first time I set foot in Hoelbrak too. It was just after exploring a bit of Divinity's Reach and the Black Citadel so I was expecting a more... hmm... full city, I guess, is the word I am looking for. After I spent some time in running around Hoelbrak though I just started to love the city, with its giant ice statues, the peacefulness of the snow falling around, the buildings made of solid wood, etc. Hm. They might have, yes. I think I didn't pay as much attention to my sylvari since I made him as an engineer first but didn't like him with that class. Then I remade him as a elementalist and made a charr engineer just to be sure it was something I wanted to play after release. For some reason I loved the charr as an engineer. Go figure. Anyway, with trying to play as much as I could with three characters I think I missed a lot of stuff, including not paying as much attention to the sylvari characters themselves. Yeah, I thought he meant it about the eyes too which to me was already pretty cool. I just noticed it worked on the body too because there was an option to check it out during the character creation. And yes, I did play the character a bit in the night I even have a screenshot to prove it! He is the goofy looking guy in the left. Looking at the screenshot I can't really see much of a bioluminescence effect on him. I agree on the very fluid movement, I was thinking this race has probably the smoothest and nicest motions of them all. they did add some goofy to their gait, but that was always intended and isn't overbearing. I am totally torn myself about my main since playing them lol! And the Sylvari are indeed much better than anticipated - who would've thought. @Paeroka - I did actually turn that light switch on in CC, but I didn't realize they were glowing! And your comment didn't end up flagged as spam this time. I guess it happened the other time because something bugged out and it end up as a double post. Out of curiosity, are you using the "Go Back" button on your browser when posting the comments that end up in the spam folder? I'd read about the light switch on the forums. While creating my first sylvari, I had had no idea what that one colour palette was for. Nothing changed...! 😉 But ArenaNet is apparently aware of this issue, so I hope they'll make it clearer. I think I'll play norn as the last race then. There's at least two asuran characters before her (warrior and mesmer, of course! 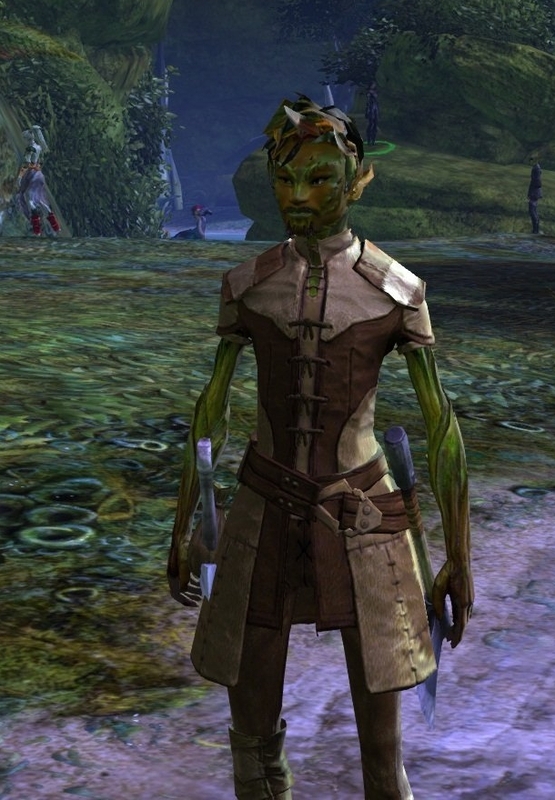 ), then my charr engineer, then one of my two sylvari or my human. I can relate. I can take criticism against things I like or I am enamored with rather personally some times. Even if the argument does have merit. And often the way I think what expression I have in my face is often pretty different from what it actually is. Smilies to make it all much more easy, indeed. As for the Birgarten, again, I can relate. I lost the count of all the facepalms I did over the years whenever I saw Brazil portrayed in a foreign movie, TV show or games. Even when the people behind it do try to get the details right. I am not sure in what order I will make my norn ranger right now. He might be my 3rd or 4th character. First and second will be charr engineer and asura thief respectively. Then the norn will have to fight with the sylvari elementalist for 3rd spot. The human will be the last one and probably a necromancer. Ah, thanks for the screenshot comparisons. The bioluminescence in-game looks a lot more subtle than from what I remember from the character creation. Considering my natural obliviousness that might explain why I didn't notice it while playing. Hmmm I don't think I do. it's really screwed up for me atm, there are SOME wp blogs that publish my comments just fine - then, there are those that simply spam-mark them and then there's even a third group where I suddenly get asked if it's really me and that I should log into WP first....oO after I do that however, the post won't show and if I re-post it gives me the 'oooops you already said that'. I did it O.O Preordered the Collector's Edition from Amazon. There is something about wanting the extra goodies, in or out of game. I've been buying MMO (and other game) collectors editions for almost every game, when they have them, Not sure if that makes me an easy mark 🙂 Look forward to seeing old friends. Re-installed Guild wars today, just to mess around again.